Each month people ask me hundreds of questions related to painting. It is impossible to answer everyone, nor should I be expected to. 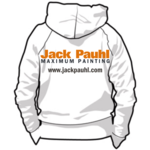 The new Jack Pauhl platform was in part designed to allow people to get answers to the most common questions people ask about painting. Rarely have I not already answered questions people ask elsewhere online. I understand it is a inconvenience to hunt down answers. That is precisely why the new platform was created. Always try using the Search in the top menu. The new platform is designed around the concept of the thousands of common questions people ask. Over time the new platform will expand in the ability to find the answers you're looking for. Let me clarify the importance behind the products I use and the analysis I perform to arrive at my product selection. I have a strict policy on the subject. If I am not talking about the product you are curious about, I don't use it. It's just that simple. You may be interested in trying a product, but I have most likely eliminated the product as an option. If the product is worth using, I promise you, I will be talking about it, at length. The new platform is not designed to stop people from asking questions, and that's a good thing. The goal is to have people ask questions so other people with similar questions can find answers in one place. Questions will continue to be asked, but I regret my time is limited to personally answer all questions. However, I will always put priority on answering Pro Member questions. You will find a Asked and Answered section in both General Member and Pro Member sections. If questions you have are beyond the scope of intent of this platform, you have the option to hire me for consulting. My standard consulting fees on anything systems related is over $200 per hour and I promise you, thats a nominal fee for the money you'll save by using a system. The time saving tips and information already posted here can easily save painters hundreds of thousands of dollars in labor and materials. If you need help implementing the content found here on your jobs, consulting would be best.